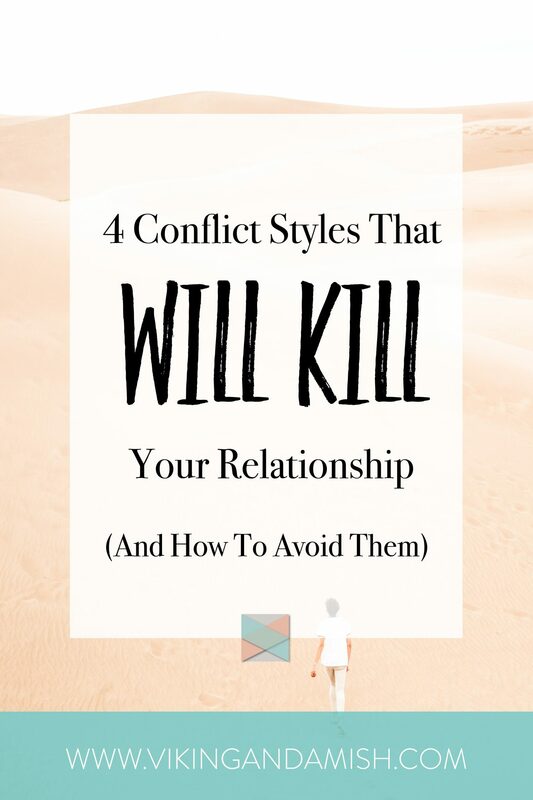 There are four conflict styles that are considered absolutely toxic to romantic relationships. I have previously posted a blog series on conflict resolution that offers tools and ideas on how to solve conflicts in relationships. 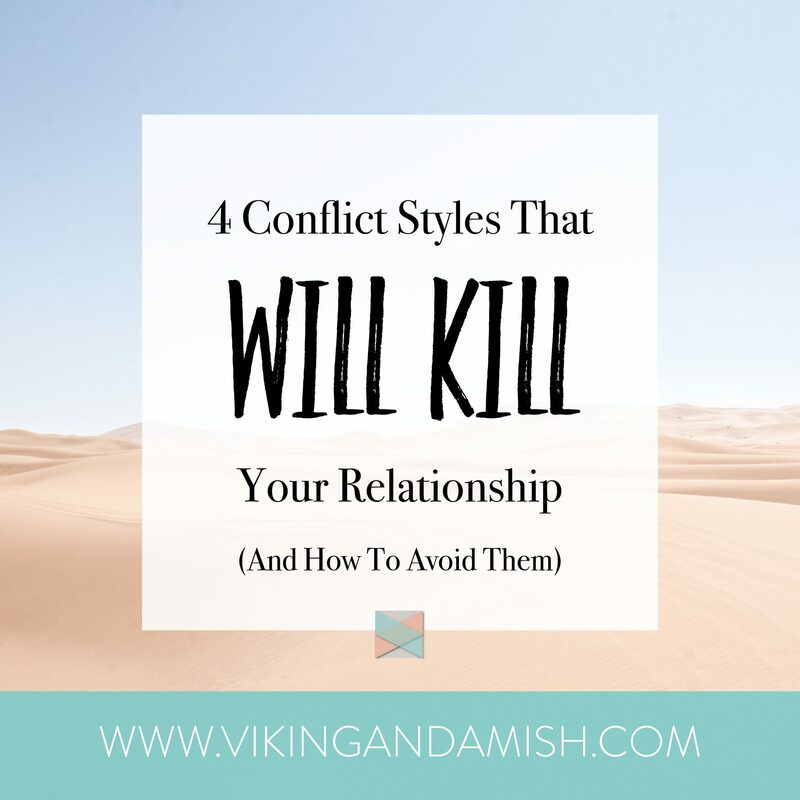 I was going to include these relationship killers in one of the posts, but I didn’t want to overwhelm readers with information. Back then I decided that I would return to the subject later and write a post completely dedicated to this. The four conflict styles that this article will address are so poisonous that they are often referred to as the Four Horsemen Of Apocalypse. The Horsemen’s names are Criticism, Defensiveness, Contempt, and Stonewalling. I was first introduced to the theories of John Gottman, the inventor of the Four Horsemen when taking a class in college on Interpersonal Communication. Reading about the Horsemen, it scared me to think that a simple conflict-pattern could completely destroy a relationship that used to be good and loving. Gotmann’s predictions were based on two things. First, the ratio between successful and failed attempts to repair the relationship. Second, the presence of these four toxic conflict styles. He has since been able to predict with 94% accuracy whether a marriage would succeed or end in divorce. In this blog, I will introduce the four conflicts styles individually. Each conflict style, luckily, has an antidote to avoid or combat the Horsemen. The antidotes are guidelines for how to change their conflict-pattern or tendency. Criticism attacks the other person’s character. It is not to be confused with feedback or voicing your concern because those things can be done in a constructive way. Criticism is not constructive; it is destructive by nature. In conflicts where criticism occur arguments are not logical because they are based on an assumed nature of the other person. This is also referred to as an ad-hominem argument. Ad-hominem basically means “after the person,” because the arguments are designed to attack the other person’s character. When we use criticism in conflicts we are not attempting to seek a solution—the only solution would be for the other person to be…less themselves. If you have a tendency to criticism and would like some tools to change it, the following two things are the antidote. 1) Use “I” language instead of “You” language. This addresses Emotional Responsibility and is a way for you to avoid attacking the person. You can still state observations, thoughts, and feelings, but the idea is to take responsibility for our statements by using “I” instead of blaming the other person. I’ve written about “I” vs. “you” language in this post. 2) State a positive need. If you state a need, you can complain about a certain behavior or action while also offering a resolution. When we state a positive need we are allowing transparency. This makes it much easier for our partner to meet us with a solution. When there is already a lot of conflicts in a relationship this conflict style is typically omnipresent in interactions. It makes sense that when you detect that something is wrong in the relationship, all the while you think you are doing your best, the other party must be to blame. However, defensiveness is an unwillingness to take responsibility and an attempts to divert blame. One of the major reasons for defensiveness is perceived criticism. When we perceive an attack, is immediately deflected and redirected back to the other person. As you can see, this doesn’t solve a conflict, rather, it tends to escalate it. In this example, you can see that the person takes responsibility for their part of the problem, and expresses the desire for a conversation about how to work together. Contempt is the worst conflict style of them all. It seeks to discredit and mock the other party. As a matter of fact, this conflict style is the #1 predictor of broken relationships according to Gottman. Contempt often shows up in sarcasm, mean-spirited humor, mimicking, eye-rolling, and name-calling. What these forms of communication signal are disgust. When a person insists on showing that they are repelled by their partner, it is really difficult to solve problems, talk about solutions, let alone have a conversation that is not hurtful. This might not come as a surprise, but contempt also has physical effects. Since contempt is bottled up anger and destructive feelings, people with contempt are also more likely to get sick from infectious diseases. Not only can contempt kill your relationship, but it could also, literally, kill you. That’s scary! If you are the one who is being communicated to with contempt, it can’t be easy to be the receiver of all those scornful messages. Remember, that though the attitude from the other person is “you are below me,” their words say more about them than about you. To combat contempt you have to restructure the culture in your marriage. More specifically this means remembering affection and admiration. 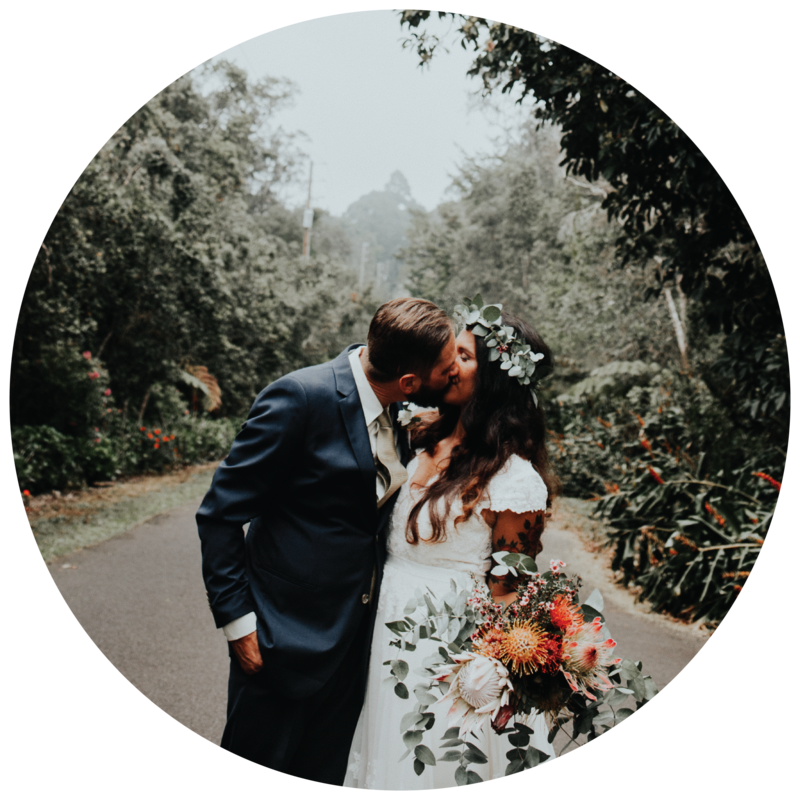 Since it can be difficult to find affection and admiration in the current state of the relationship, talking about happy events from your past can help you reconnect. Find some good memories from the past and share your thoughts on them. For more tips on how to go through with that, check out this blog from Gotmann’s institute. Stonewalling is withdrawal. There can be many reasons for withdrawal in a relationship, but most commonly it is because of feeling overwhelmed. Unfortunately, by withdrawing we show little concern for the other party. For some people withdrawing can become a way of dealing with phycological and emotional stress in the relationship. However, it makes it really hard to solve conflicts, if the person turns away whenever conflicts arise or things get addressed. The antidote for stonewalling is self-soothing. Self-soothing means when reaching a point in a conflict where it becomes too much, while you would normally explode or run out the door, you pause the conversation. Say, respectfully, you need a 20-minute break before returning to the conversation. Twenty minutes are necessary because that is the time it takes the body to calm down from psychological stress. Put on some music, read a book, or go for a walk. But, avoid letting yourself have thoughts that fuel the conflict while you are taking a break. By that, I mean thoughts of victimhood “why is she always criticizing me.” Or righteous resentment “this is not MY fault”. Because, if you can’t shake these thoughts 20 minutes will not be enough time for you reap the benefits of self-soothing. If you are in a relationship with a person who stonewalls you can avoid having conflicts escalate by suggesting a break. This means the moment you see the other person detach from the conversation, STOP. Trying to push through or confront it won’t help at all. A conflict must be resolved without one party disengaged or wanting to leave the room. You can return to the conflict later when the situation has de-escalated. I hope I have convinced you by now that you must avoid these Horsemen in your relationships. If you are unsure of how to have healthy conflicts I encourage you to read this blog series I wrote regarding conflict resolution. Learning techniques for conflicts can help in all your relationships. This doesn’t mean that all conflicts are going to be easy, but it means that your attitude towards conflicts is going to be positive. A positive position on conflicts not only shows maturity, but it will also leave you more satisfied with your relationships. I hope you enjoyed reading this. These blogs always aim to be helpful and leave people encouraged. Please leave a comment below and feel free to share this post with friends and family. Yes! These are all SO important. Thank you for providing solutions to all these relationship problems! Hi Meagan! Thank you, I really appreciate your feedback. I hope my post is helpful. What a great and well-thought out post! I love the way you broke it all down and I LOVE the examples. I’m sure we’ve all fallen into one of these destructive behaviors before. I know I fall into these behaviors from time to time. Blogging to me is more about reminding myself of the things I value than anything else.